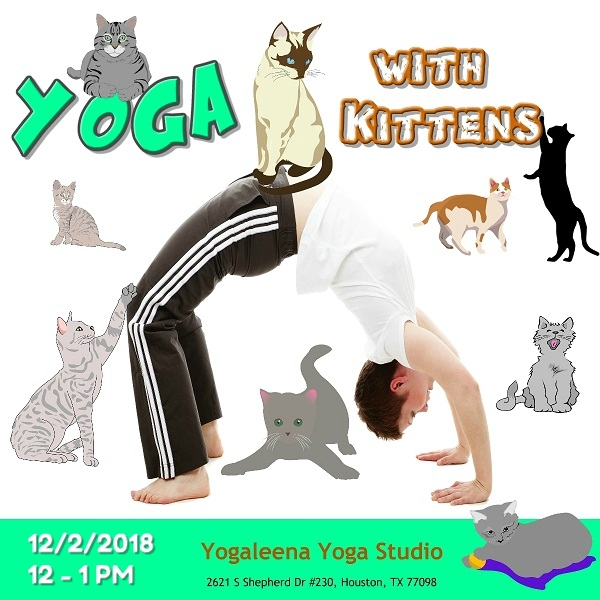 The Best Friends organization in Houston will be bringing 8-10 adorable little kittens looking for forever homes to Yogaleena. Students will get to flow alongside these curious and playful friends, and enjoy lots of cuddles/pictures with them after class. $20/person, a portion of the proceeds will go back to Best Friends. This event is always SOLD OUT so reserve your spot asap here! We'll go to lunch after at Auntie Changs Dumplings!